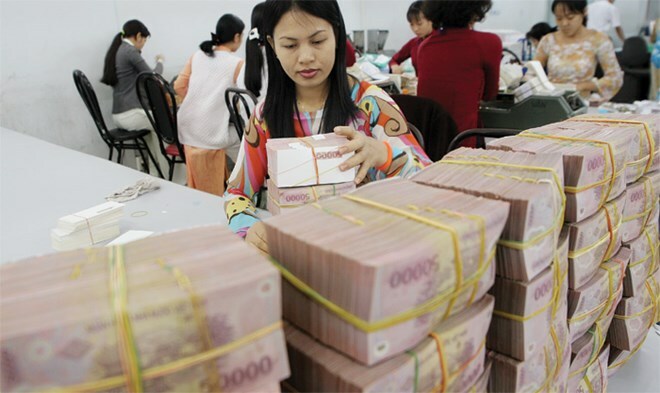 HA NOI (VNS) — The State Bank of Viet Nam has issued a circular with new regulations on encouraging credit institutions to handle non-performing loans (NPLs). Under Circular 14/2015/TT-NHN, which will take effect from October 15 this year, the Viet Nam Asset Management Company (VAMC) will directly issue a new type of bonds to purchase NPLs at market value from credit institutions. The new bonds are allowed to transfer between the central bank and credit institutions, as well as among credit institutions. Currently, the VAMC also issues special bonds in return for bad debts from credit institutions, but the bonds are not allowed to be transferred. The special bonds may be used only as collateral to secure funding from the central bank. VAMC will continue to implement its bad debt handling process via the special bonds it issued in the past. According to the new regulations, credit institutions will no longer have to make risk provisions for NPLs which have been sold to the VAMC. Currently, the lenders still have to establish yearly provision funds amounting to 20 per cent of the value of the bonds they received from VAMC. Credit institutions will also have more benefits as the new type of bond is defined as having a risk ratio of zero per cent when calculating the Capital Adequacy Ratio (CAR), while the special bond has a risk ratio of 20 per cent. For credit institutions that are under restructuring or facing financial difficulties, the VAMC new bonds will help reduce pressure on them as the expiry date of the bonds can be extended to 10 years from the 5 years of special bonds. The VAMC targets buying roughly VND500-700 billion (US$22.5-31.1 million) of NPLs at market value this year to boost the implementation of the new method next year. Credit institutions are now required to sell a minimum amount of bad debts fixed by the central bank by September 30 in a move to cut bad debts to below 3 per cent by the end of September, a target previously set for the year end.